Comparing Holmes with Jarryd Hayne, whose now-infamous trip to America promised much before ultimately falling flat and ending abruptly, paints Australia’s latest NFL recruit in a positive light. Hayne announced in 2014 his departure from the NRL after winning his second Dally M Medal, and in March the following year was signed by the San Francisco 49ers. At 26 (27 when signed by the 49ers), he was at the peak of his rugby league powers, but wasn’t at the stage where he was going to improve much more. Having reached his ceiling as an NRL athlete, was it really all that surprising he wasn’t able to completely adapt to an entirely new sport, one which required him to both fundamentally change his body and learn a slew of plays and tactics which American footballers would have been familiarising themselves with since adolescence, maybe earlier? At 23, Holmes is still developing as a sportsman. 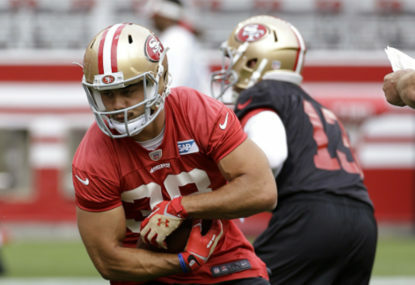 Picking up the new skills his NFL career requires might be just that little bit easier and, even if it isn’t, he’s got far more time on his hands to make it happen than Hayne ever did. 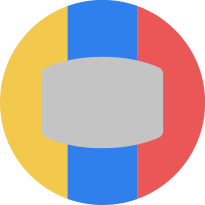 Another important consideration is the contract. Hayne was signed by the 49ers as a free agent. From a technical standpoint, it was no different to them picking up someone who’d been playing the game their entire lives and just hadn’t landed with anyone in the draft or whose contract had expired. His three-year deal offered plenty of time and something of a safety net should things not click immediately, but it was nonetheless clear he was in the mix for a spot on the 53-man roster from the get-go. Holmes, on the other hand, has been allocated to the Jets as part of the NFL’s international player pathway program. He’s guaranteed an 11th, unactivatable spot on New York’s practice roster for the 2019 season, allowing him to train for a season and learn the sport without the pressure of having to perform on gameday in his first year in the league. Now, if things go swimmingly in training camp and the pre-season, Holmes can be handed a spot on the playing roster. But if (and when?) 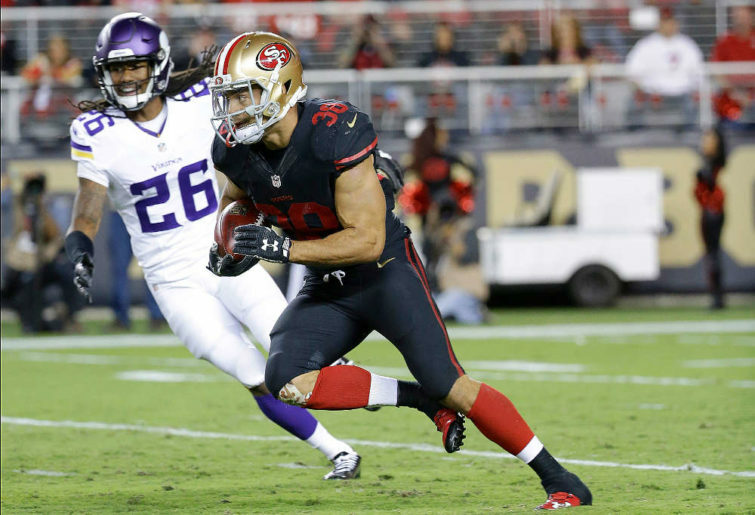 he misses out, spending a year learning the ropes away from the bright lights of the NFL regular season would put him in excellent stead for a solid career in the league, giving him a grounding in the sport Hayne never received. That’s two for two in the former Shark’s favour, and it could make all the difference. From a talent standpoint, the two are evenly matched. Holmes is currently faster than Hayne was when he switched sports, Hayne was a stronger ball-runner. But talent was never the barrier preventing Jarryd Hayne from making it in the NFL. 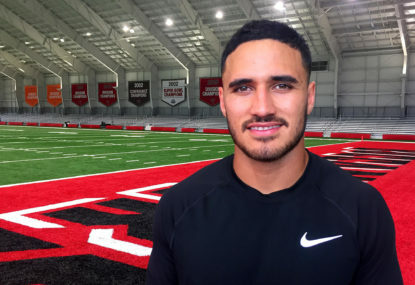 The same goes for Valentine Holmes, whose speed, fleet-footedness and ability to break the line have him well suited to American football. 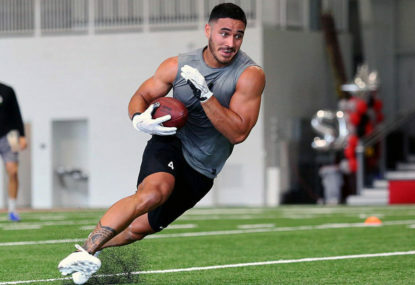 With time and a favourable contract on his side in ways they weren’t for his code- and country-hopping forebear, there’s every chance Holmes will succeed in the NFL where Hayne couldn’t.